John Farrell, 29, of 1621 North Colony Road, Meriden, was charged April 2 with sixth degree larceny and possession of drug paraphernalia. Cyrus Panagiotou, 21, of 41 North Road, was charged April 2 with possession of less than a half-ounce of marijuana and possession of drug paraphernalia. Paul Watson, 35, of 684 Broadview Terrace, Hartford, was charged April 3 with possession of less than a half-ounce of marijuana. 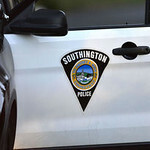 Posted in New Britain Herald, Southington Herald on Thursday, 11 April 2019 20:54. Updated: Thursday, 11 April 2019 20:56.